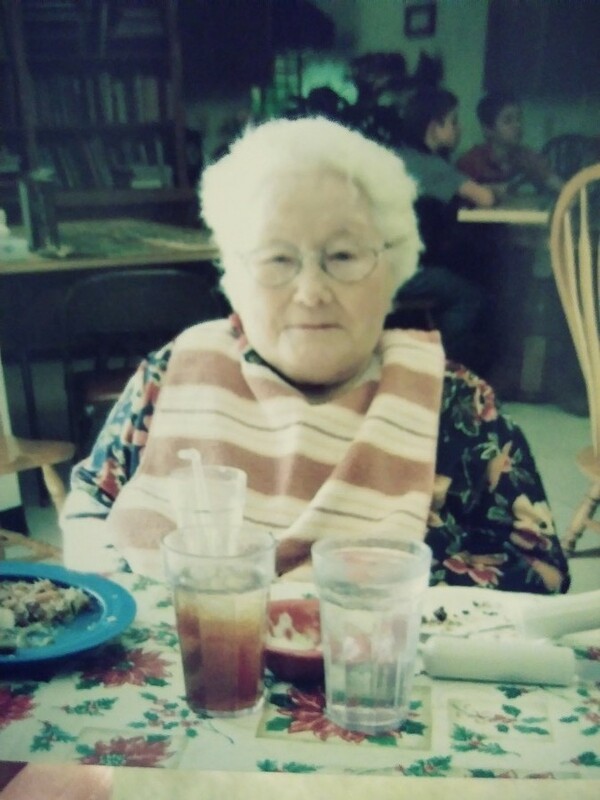 Elnora Southard, 98, died February 9, 2019 at the Bethel Home in Montezuma, KS. She was born March 7, 1920 near Offerle, KS. The daughter of William Frank and Amelia (Krengel) Nall. Elnora was one of three siblings born to William and Amelia. A sister Rose Tasset preceded her in death and she is survived by a brother Frank Nall of Dodge City, KS. Elnora was married to Ernest Foote in 1937 at Spearville, KS. They later were divorced. A daughter Esther Foote was born to their union, she preceded Elnora in death. While married to Ernest she helped out on the farm north of Spearville. She enjoyed being on the farm. In May of 1971 Elnora married George Southard in Colorado. George passed away in June of 1980. She is also survived by a niece and nephews. Funeral services are at 11:00 am on Wednesday, February 13, 2019 at McKillip Memorial Chapel in Kinsley, KS. With Fr. John Strasser presiding. Burial will follow the service in the Old St. Joseph Cemetery near Offerle, KS. Memorial may be given to St. Jude’s or The Bethel Home in care of the funeral home.